Your are in: Home / News / We will be Passing the Baton! We will be Passing the Baton! DIY is starting the New Year with an exciting new project called ‘Passing the Baton!’ The project, funded by BIG Lottery Reaching Communities, will run for the next three years. 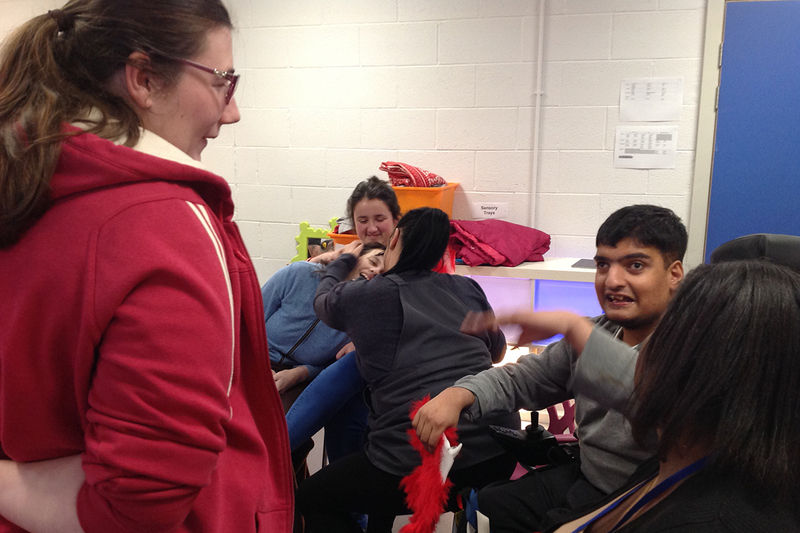 DIY will receive almost £150,000 which we will use to expand our programme of theatre activities for children and young people with learning disabilities. and therefore build confidence and self-esteem. A group of DIY Youth Leaders will be formed. We will harness and expand the skills of these young adult members and support them to go on to coach and mentor the children and young people involved in our Youth Theatre Group and other DIY initiatives. This valuable work will also provide the children and young people with role models which will increase their aspirations and ambitions. Thanks to National Lottery players, we will be able to work with lots of different partners across Salford to offer more creative opportunities for people with learning disabilities in the city. We are hoping that this project will really help DIY and our project partners to celebrate diversity and challenge preconceptions and barriers associated with learning disabilities. It’s fantastic that people will receive support to develop their skills and experiences, and, have the opportunity to make a positive and meaningful contribution to their local communities. We can’t wait to get started on this exciting initiative! Connect with us on social media, subscribe to our newsletter and watch this space to see how the project progresses!